Toronto had a wicked storm this past weekend. If you saw a plane trying to land at the Island Airport at that time (I didn’t see us in the video), I was there. We circled back and forth between Toronto and St Catharines as we waited for a clearing to land. The landing was probably the most rocky I had endured and it was only afterwards, gawking at the photos in the comfort of my own home, did I realize what we had missed. Anyways, Rob and I had a very quick weekend trip over the long weekend out to New Hampshire for some relaxation and hiking in the White Mountain National Forest. Rob was in Boston for a conference but when I flew down, we opted to head outside the city instead. If you like outdoors, this is a great place to visit. We stayed with a host through AirBnB and it was almost like our own piece of heaven. 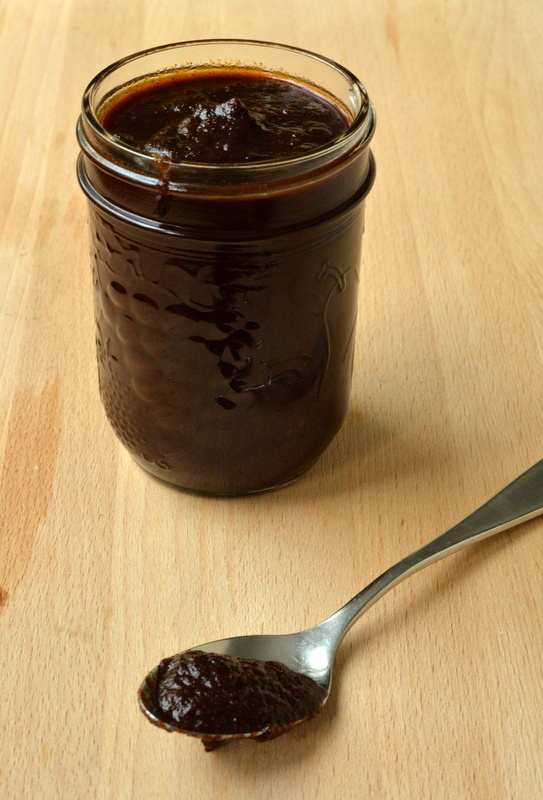 I had been talking about making Bourbon-spoked barbecue sauce for a while, but we had no Bourbon nor whiskey. Our trip to duty-free solved that and I quickly followed through with my promise of homemade barbecue sauce. 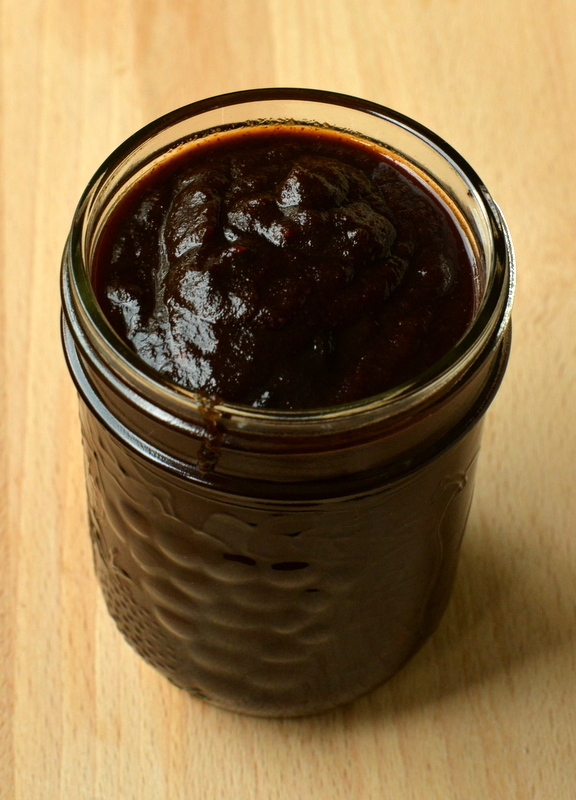 Earlier this year, I made Miyoko’s zippy barbecue sauce (fabulous, by the way) and found it oh, so easy and was equally delighted with this concoction. Smoky. Apple-infused although I couldn’t really taste the apple. And the Bourbon was in there, too. The Bourbon is more of an aftertaste after the alcohol is simmered away, adding depth to the sauce. A bit on the spicier side but I loved it. So, even if you do not like whiskey (hello, me!) and even if you do (hello, Rob! ), you will love this. I imagine this will be gone by the end of the weekend. Veggie burgers really do better with something saucy slathered overtop. Enjoy! Please let me know how you like it. 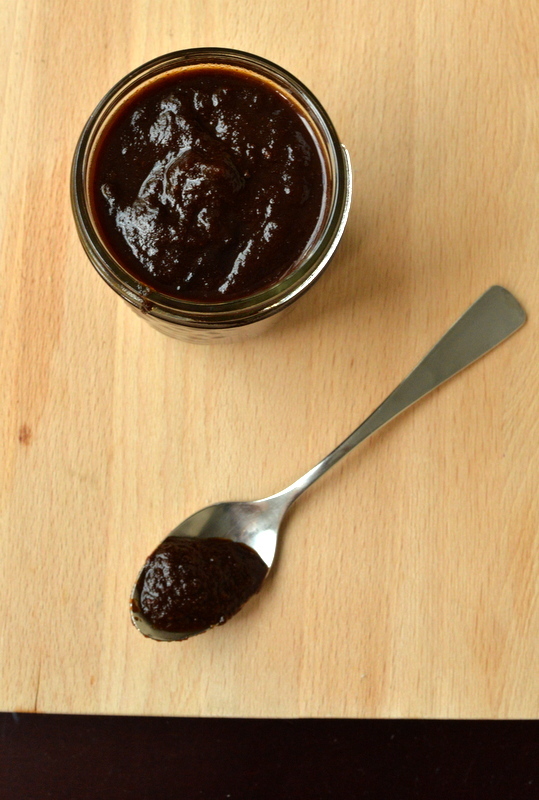 Do you have a favourite barbecue sauce recipe? I am sharing this with Healthy Vegan Fridays and Credit Crunch Munch.